My kids especially my daughter are dog lovers. We had a total of 3 dogs in the house, one is a mixture of Japanese Spitz and shih-tzu blood, the other one is a pure shih-tzu breed and the third one is just an ordinary dog given by a neighbor. I was reluctant before to get a shih-tzu puppy coz I know how tedious it is to groom them and of course, since you have to keep them inside your house, cleaning their mess is another problem. But my love for my daughter prevailed over these worries of having one in the house, this is where I decided to buy one for her and it was given as a gift during her birthday. 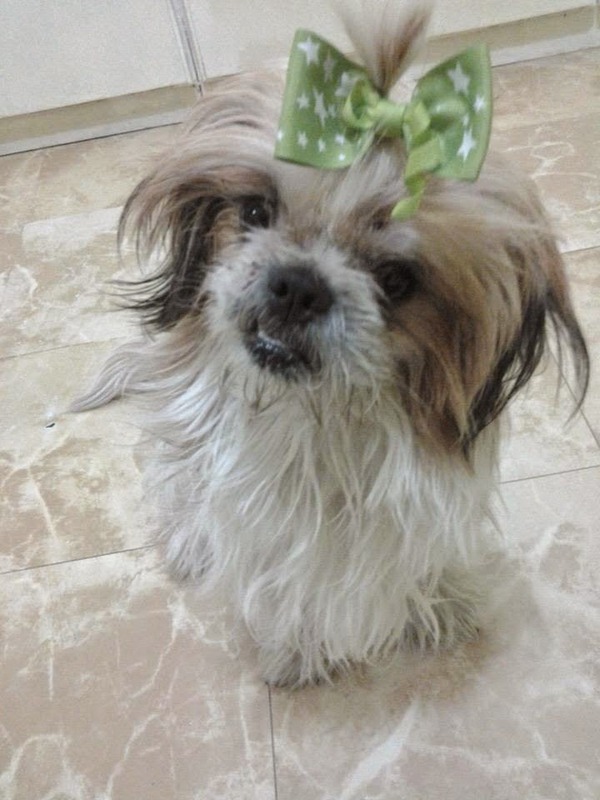 Shih-Tzu puppies in the Philippines are quite expensive, thus you will really have to think twice before buying one. However, when I was working at the Cambodia-Vietnam boarder and made frequent trip to Vietnam almost every month, I've found out that shih-tzu pups there are really cheap compared to my country. At one time, I saw shih-tzu pups being sold on the street at less than $50. That's quite cheap! Some are even available for adoption so you don't have to pay anything. I think there is a website which you can access for more information www.puppiessale.org. If you already have your own puppies at home and you just like to buy some pet accessories for them, I think it would be easier to purchase those online. There is one site which I think is good and offers various kinds of pet accessories and pet care products. You can visit entirelypets.com so would have an idea on what products they offer and other important details you want to know about your pet care needs. Owning a puppy is sometimes a challenge but I never regretted getting one for my daughter. Our pet dogs bring us so much joy and laughter in the house and we had treated them as members of the family already. You can try to get one and experience having a faithful and friendly companion in your house.